I visited this attraction in April 2019. It is difficult not to agree with some already expressed opinions that it requires regular and better maintenance. The entrance fees are high – approximately 17-18 EUR – even for such an expensive country as Israel. It does not appear to be introduced as the most popular attraction in Israel, it is rarely mentioned in the majority of the main tourist guides. Of course, this park in itself is not a gem in the necklace of attractions in the Holy Land. At the same time I would strongly recommend to spend 2-3 hours in this Park, especially if you are planning to spend a week exploring the historic and archaeological treasures by car and you are on your way to or from Jerusalem. The park Mini Israel is just on the way from Tel Aviv to Jerusalem (something like 30 kms from any side) and it is very easy to find. 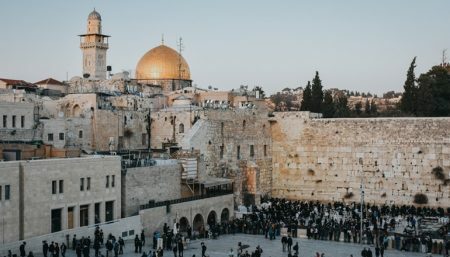 If you have just arrived in Israel and have already some ideas about where to go and what to see the stop-over for couple of hours in Mini Israel may help you to shape your final plans. Mini Israel Park may be your volumetric guide to the gems of Holy Land.